There are a lot of different slot machines to play when you go to a mobile casino. Many of the games have themes that are based on popular movies, cartoon characters or other things that people are very familiar with. The Belle Rock Mobile casino game has a very popular theme that might surprise a few people. It is a theme centered on a casino. Belle Rock is a 5 reel slot machine with 9 payout lines. Unlike other machines that have a lot more payout lines it is much easier to determine how you have won when you spin. The player can bet up to 45 coins at a time and can win a jackpot of 10,000 coins. There is also a free spin feature and a gamble feature that will help players win even more. The Symbols of this game are all casino related. They include the Ace, King, Queen, Jack and 10 from a deck of cards. Other symbols include Jackpot City, The luck nugget, The Belle Rock logo and a gold club symbol. The gold club is also a multiplier. Winnings are multiplied 2 times when the gold club appears. A wild symbol can be used to replace any other symbol on a payline. The gold club symbol is the wild symbol. The scatter symbol is the Belle Rock logo. If a player gets 3, 4, or 5 of these symbols they will trigger the free spin portion of the game. 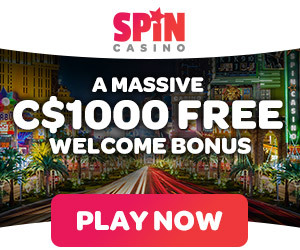 A player gets 15 free spins. During the free spins the winnings are multiplied 3 times. It is also possible to trigger the free spins again if you get 3 or more Belle Rock logos while in the free spin mode. One of the best features of the Belle Rock mobile game is the gamble feature. This part of the game is triggered after the player has finished their free spins. When a player chooses to gamble, they will select the color that they think will appear on the next card that is shown. If they are right, their winnings during the free spin are doubled. If the choice is wrong, the player loses all of the winnings. This game has excellent graphics. It is fun to play a game that allows you to beat the casino by playing a casino slot machine. In order to play this game, you need to take a few steps. It only takes a few minutes and requires some very simple steps that can be performed on your mobile device. When you are ready to start, follow these instructions. Fund the account using one of the many different payment methods. Depending on the method that you use, your account can be credited instantly. Collect your promotional bonus by making a deposit. This gives you free credits to start playing with.